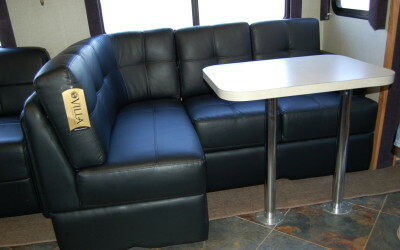 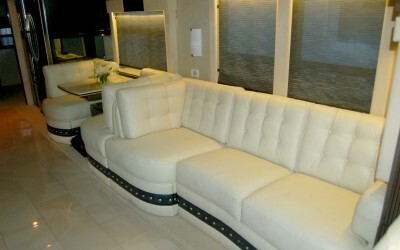 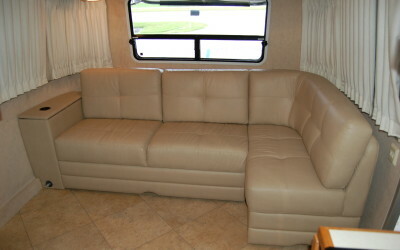 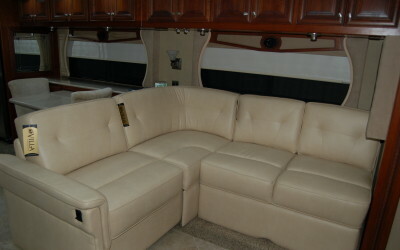 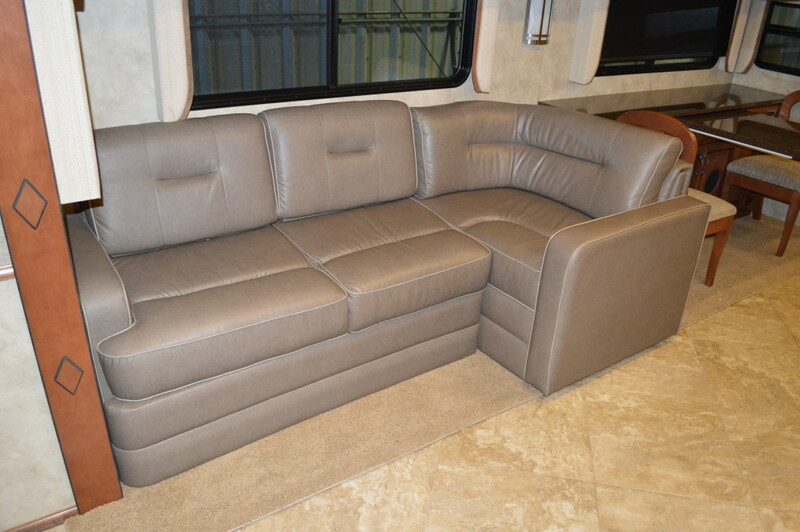 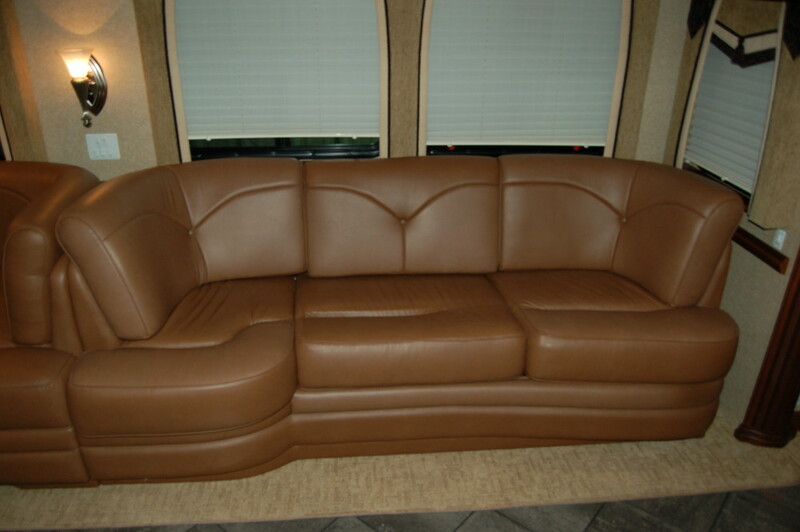 At Classic Coach Works you can pick from our stock of Villa Sofas or Order the exact one you want. 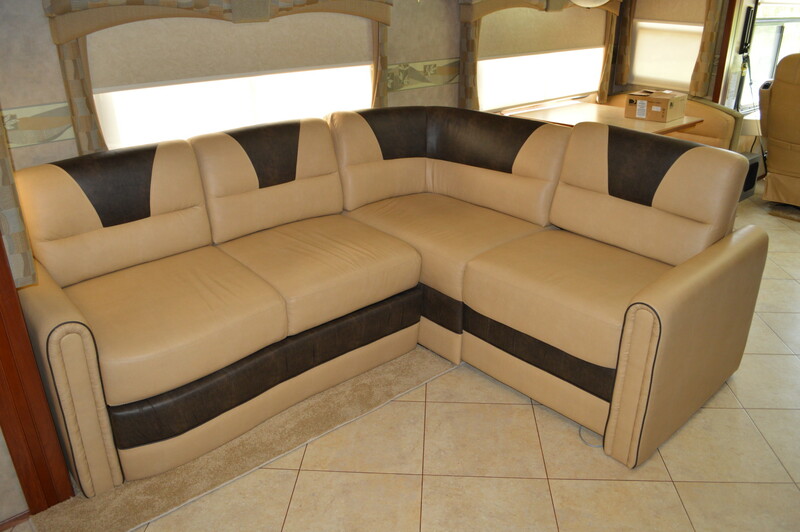 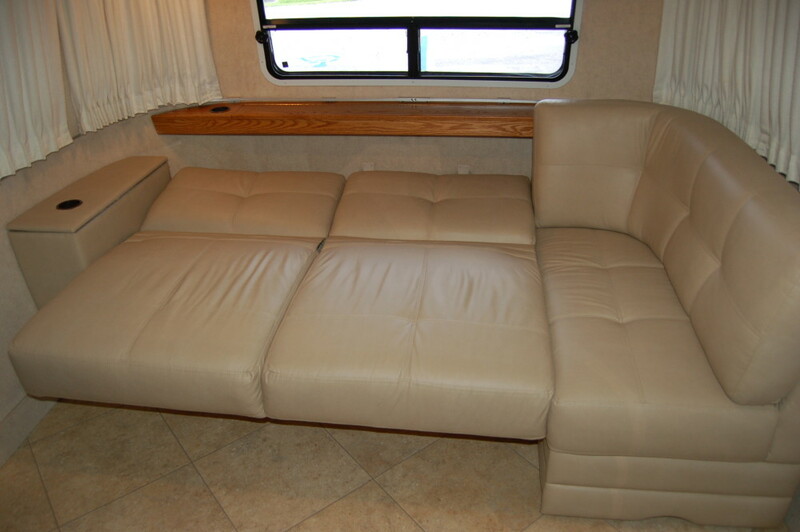 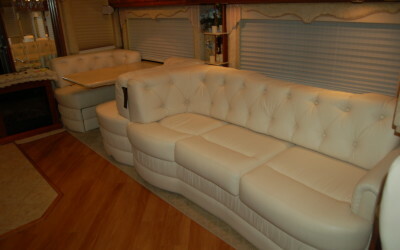 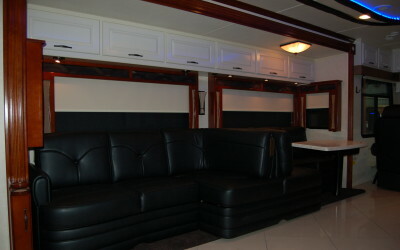 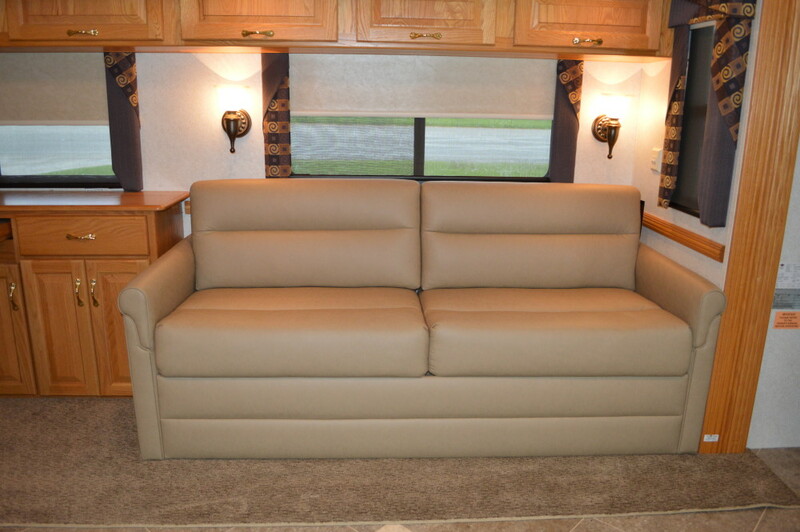 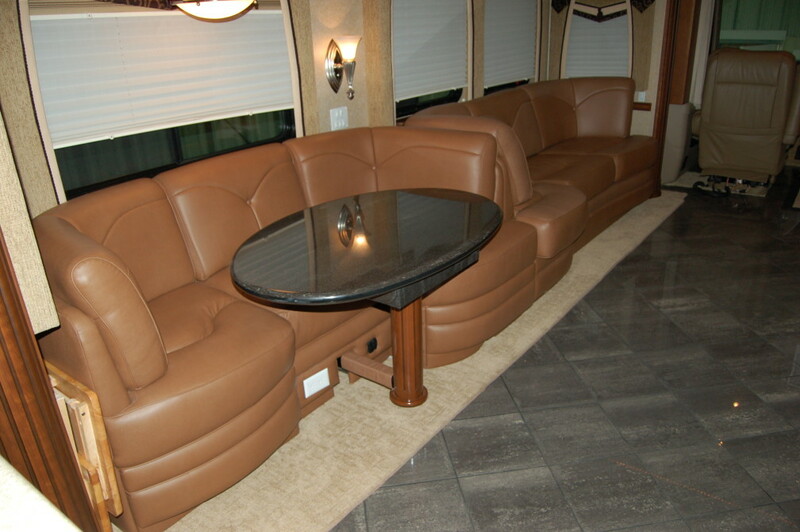 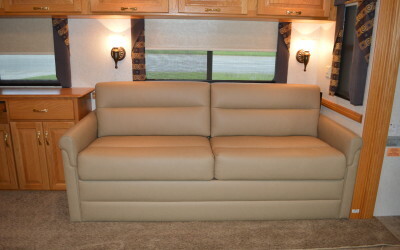 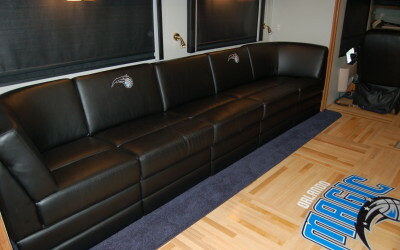 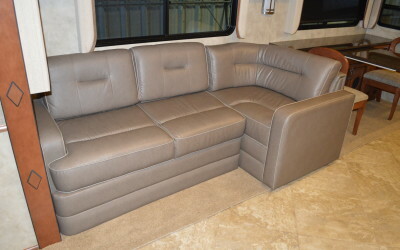 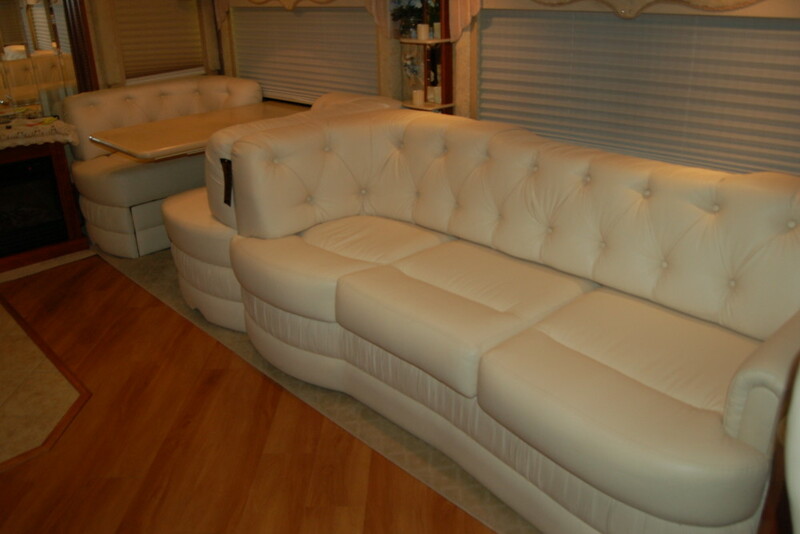 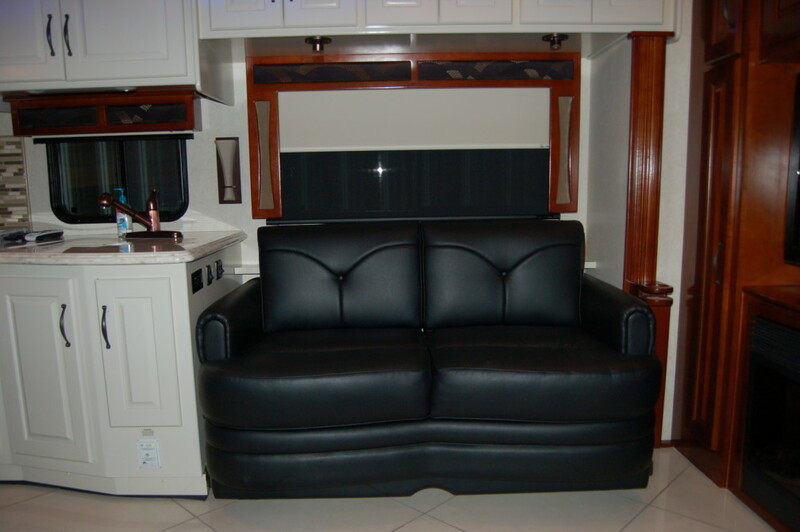 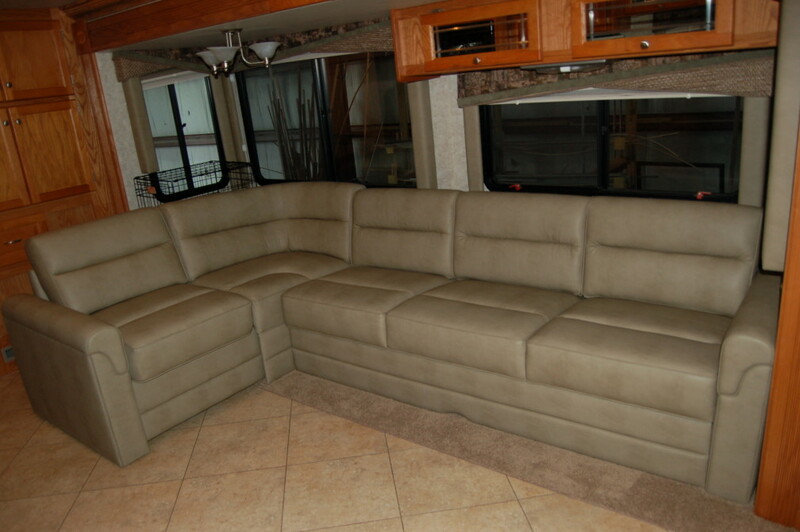 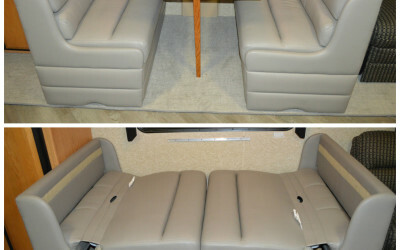 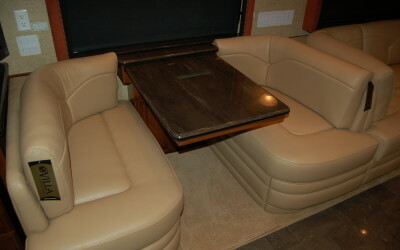 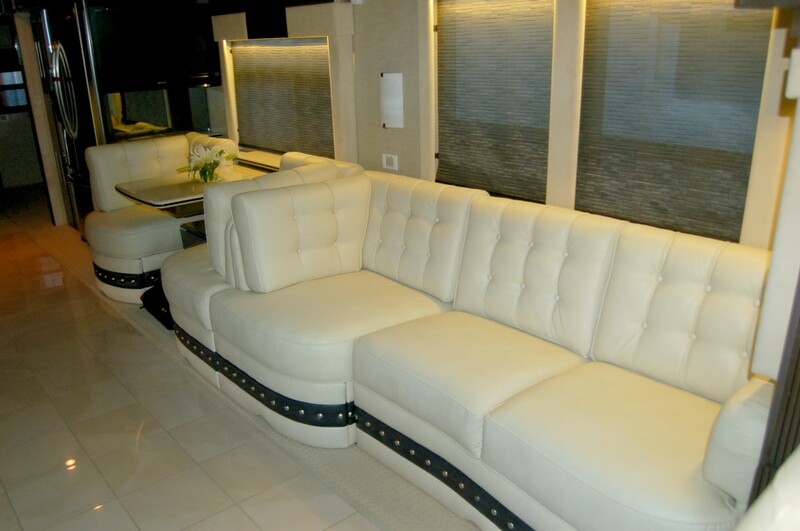 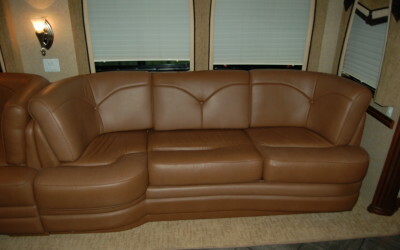 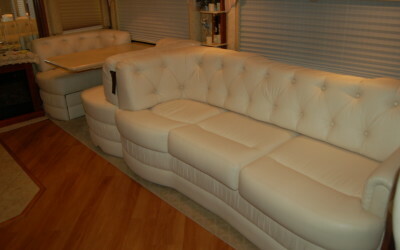 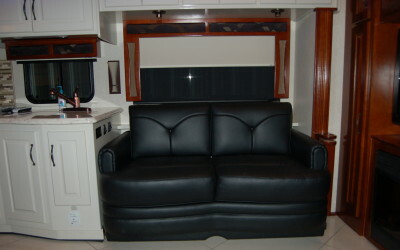 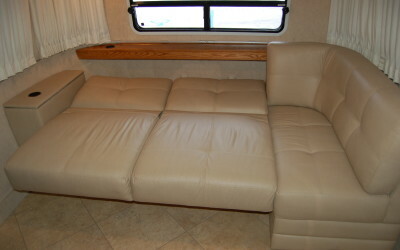 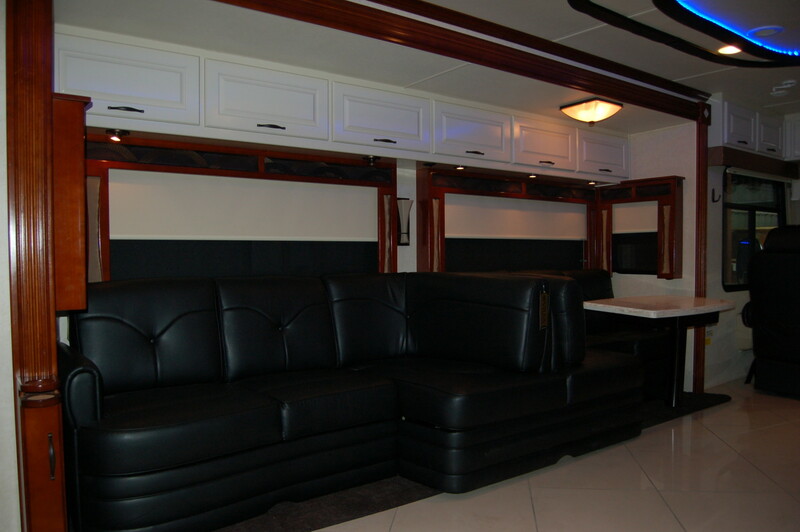 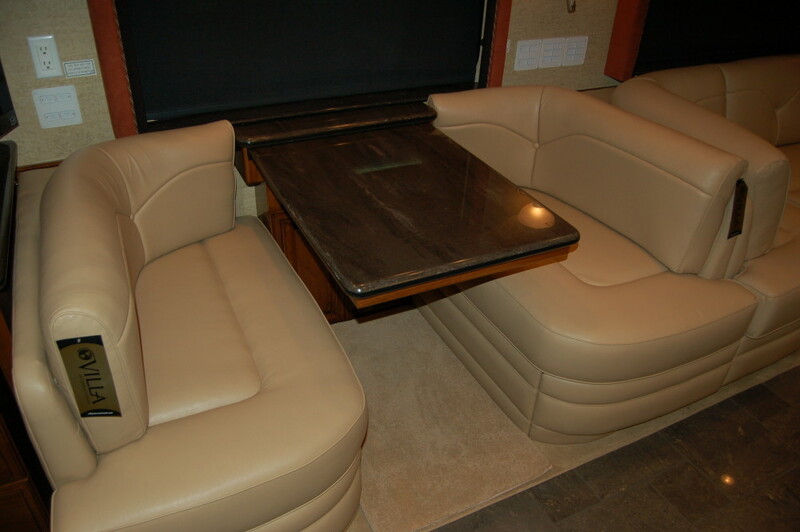 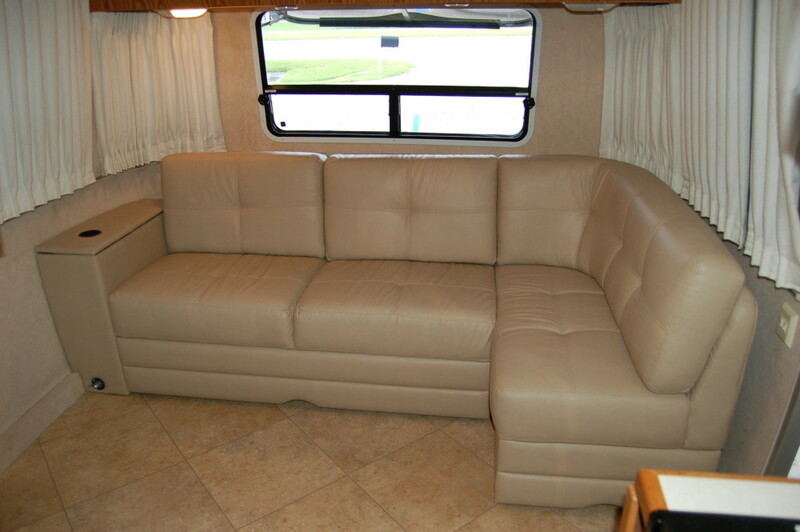 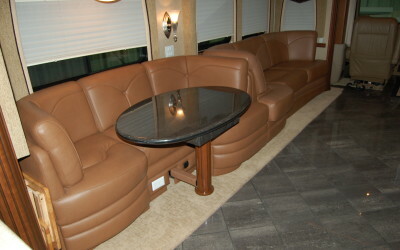 The benefit of ordering a Villa Sofa is that every sofa is unique and custom ordered to fit your coach down to the 1/16th of an inch. 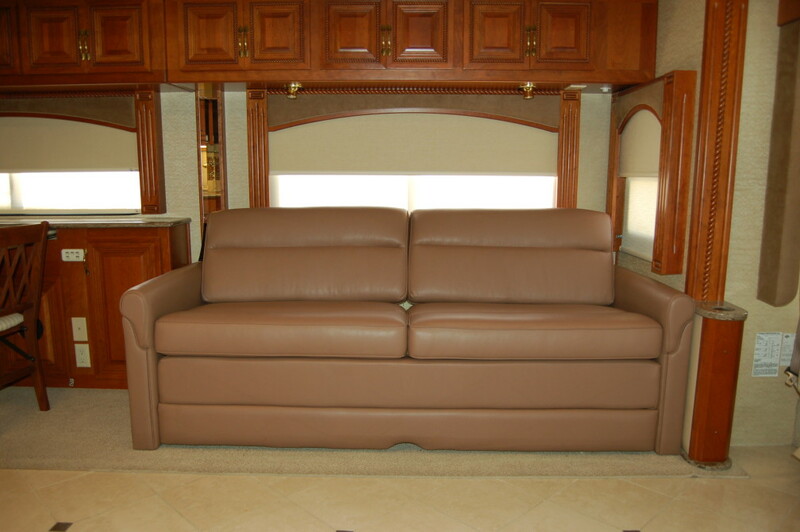 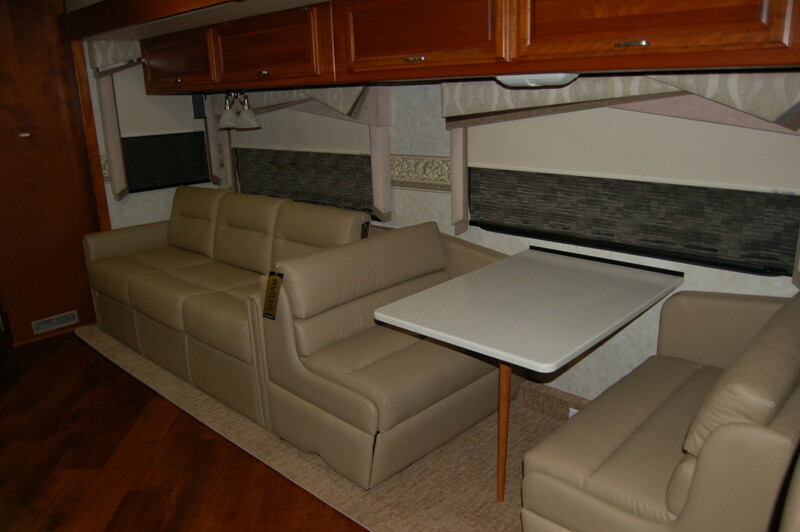 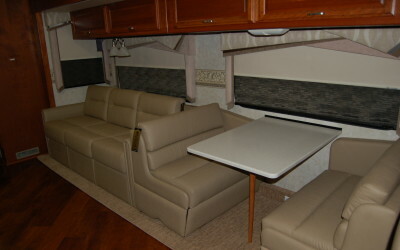 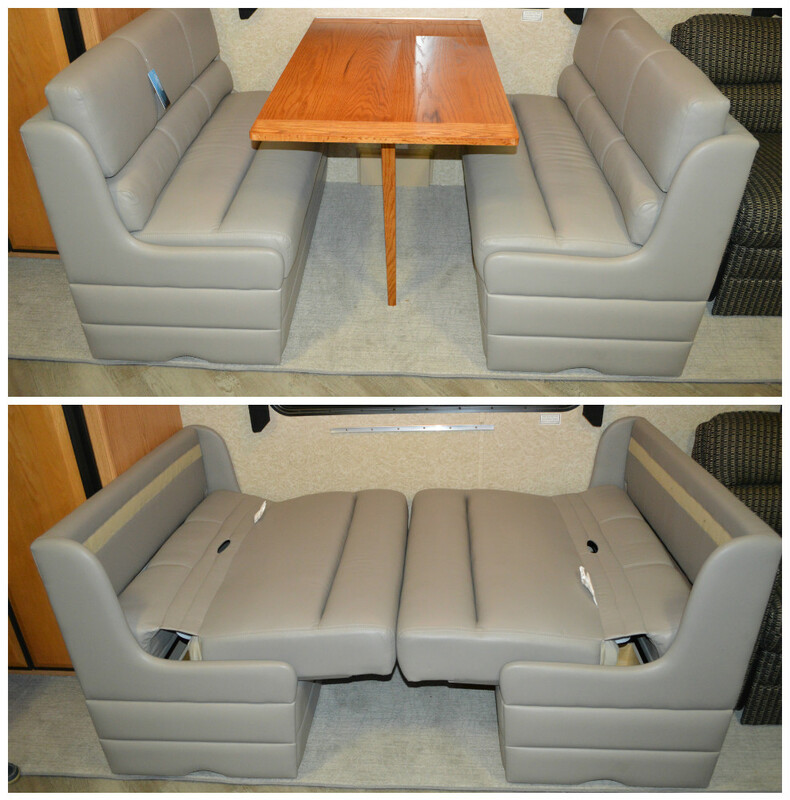 You can decide on all of the fine details once you make a selection from their wide variety of sofa and dinette options. 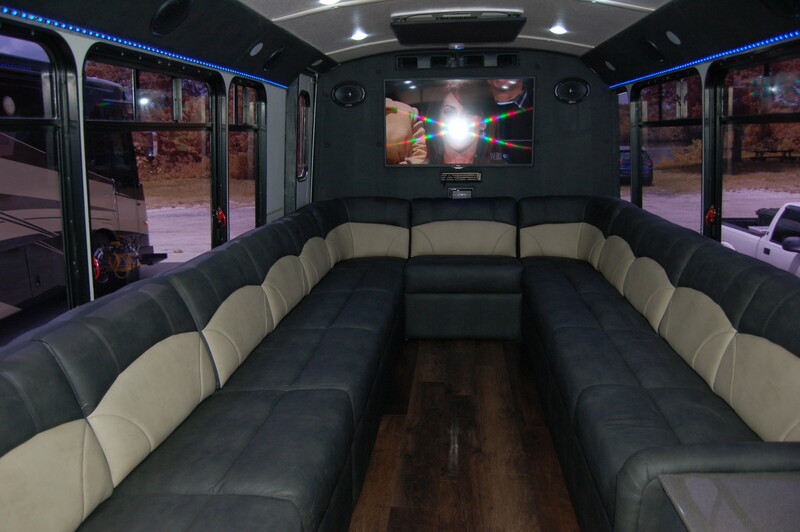 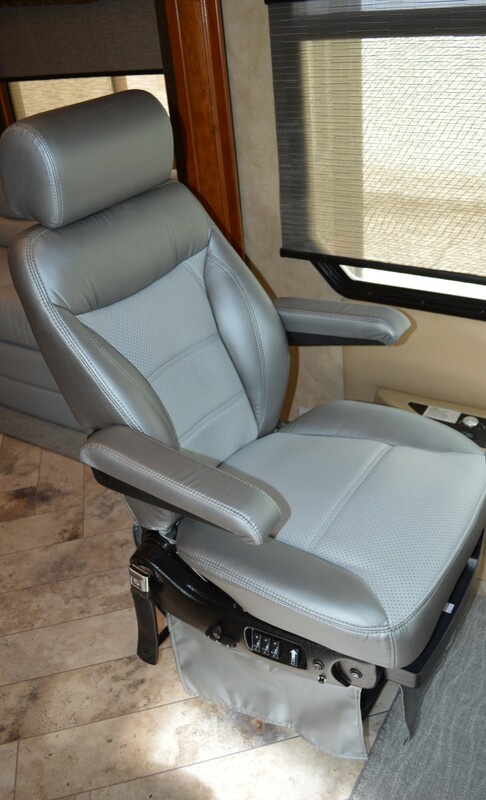 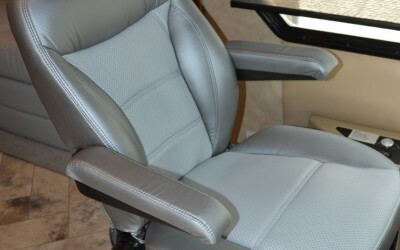 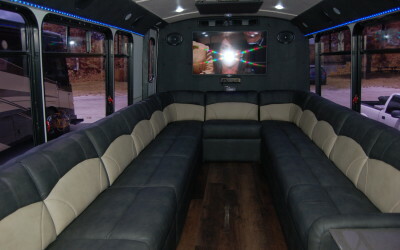 You get to decide on everything, including ; Material, Color, Trim Cording, Seat Depth, Seat Height, if it is for a raised or flat slide, and more ; you custom pick everything or have our design professionals assist you.